Jerome Flynn, known to Game of Thrones fans as Bronn, has made an important plea to fans of the show: stop buying Direwolf Huskies. In the same way that Dalmatian sales soared after Disney’s 101 Dalmatians hit theaters, Clownfish skyrocketed after Finding Nemo became a box office hit, and Chihuahuas became the ultimate accessory following the success of Legally Blonde, popularity of the hit HBO series, Game of Thrones, has now led to an increase in demand for “Direwolf Huskies,” the dogs that most closely resemble the fictional canine characters in the show. 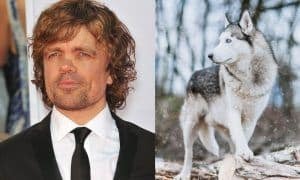 In addition to increased sales of the direwolf-lookalikes, shelters and rescues are reporting an uptick in surrenders and abandonments of Huskies purchased by fans on a whim and without careful research and consideration for the unique requirements of raising the breed. 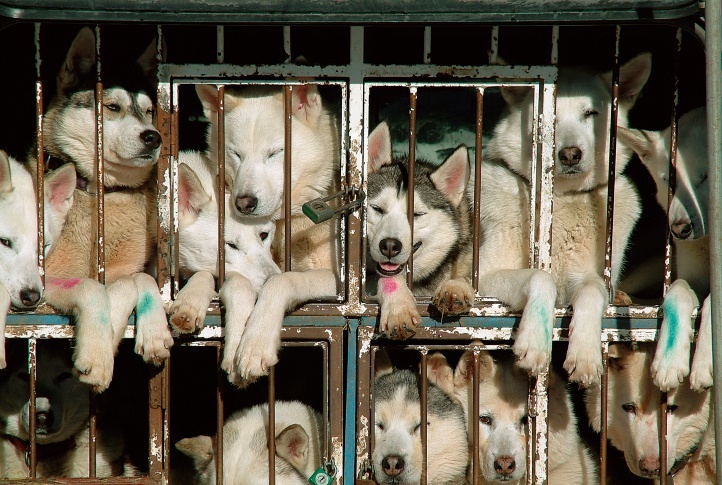 Shelters in the UK have reported a 420% increase in the number of homeless huskies since the show began airing. In response, Jerome Flynn, the animal lover who plays Bronn on the hit show, is teaming up with PETA to remind potential guardians to be prepared to care for dogs for a lifetime when expanding the family. “Please, to all of Game of Thrones‘ many wonderful fans, we understand that due to the direwolves’ huge popularity, many folks are going out and buying huskies. Not only does this hurt all the deserving homeless dogs waiting for a chance at a good home in shelters, but shelters are also reporting that many of these huskies are being abandoned as often happens when dogs are bought on impulse, without understanding their needs. Remember, bringing a dog into your home is a lifelong commitment and one that shouldn’t be taken lightly. In addition to preparing to care for the animal for the duration of his lifetime, potential pet parents should carefully consider whether their lifestyle is appropriate for the breed they choose. If you’re considering adding a furry family member to your clan, first review these Top 7 Tips for Choosing the Right Dog for Your Home.